Product categories of Sofa Linear Actuator, we are specialized manufacturers from China, Sofa Linear Actuator, Linear Actuator For Electric Sofa suppliers/factory, wholesale high-quality products of Linear Actuator For Sofa R & D and manufacturing, we have the perfect after-sales service and technical support. Look forward to your cooperation! 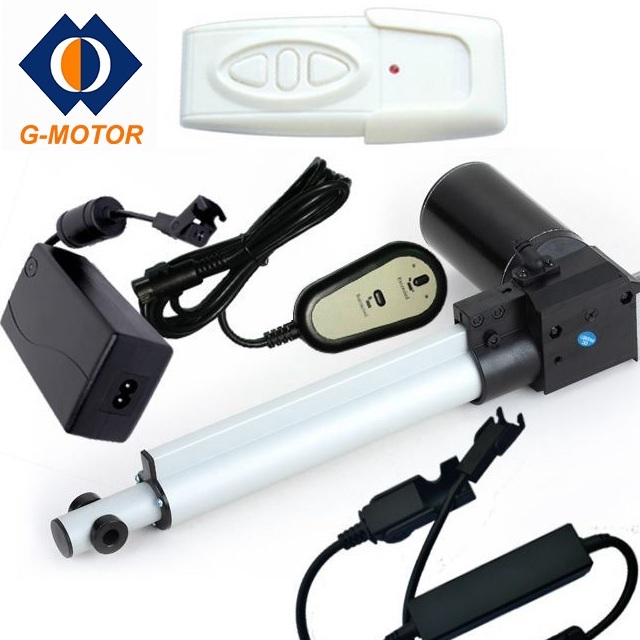 G-motor GD23,GE44,GF44 series Sofa Electric Linear Actuator are specially designed for Electric Sofa.The Sofa Linear Actuator is performed to be low-noise, stable and environment friendly. Limit switch is built-in,which makes Linear Actuator control unit stop auotmaticlly after finished the stroke.The Linear Actuator For Sofa is made of high quality aluminum alloy. The structure is compact. The Micro Linear Actuator's stroke can be customized. It's easy to install and operate.